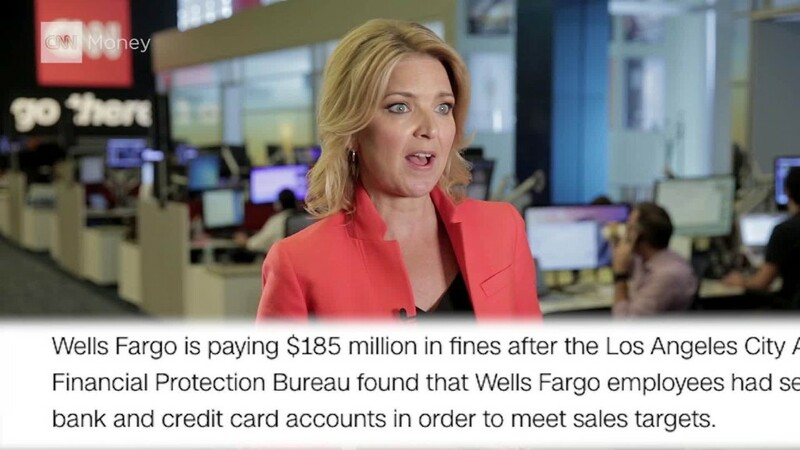 The first lawsuit has been filed against Wells Fargo by customers following revelations that the bank collected fees for millions of unauthorized accounts. The proposed class action suit, filed in U.S. District Court in Utah on Friday, accuses the bank of invasion of privacy, fraud, negligence, and breach of contract. The three plaintiffs are asking for compensation to cover damages related to identity theft, anxiety and emotional distress, and legal fees. The suit is the latest fallout for the bank after it was caught opening millions of fake bank and credit card accounts for customers over the past five years. The phantom accounts were a way for the bank to earn extra fees from unwitting customers, as well as artificially inflating its sales figures. "Wells Fargo's resulting market dominance has come at a significant price to the general public, because it has been achieved in large part through an ambitious and strictly enforced sales quota system," said the complaint. It claims Wells Fargo managers and bankers took part in unethical techniques to improve sales numbers. The bank has an average of six accounts per customer, but was pushing to have eight, the suit claims, and blames the bank for pushing bankers into fraudulent practices though the quotas and constant monitoring. Wells Fargo said it has fired 5,300 employees in relation to the scam. It also agreed to pay $185 million in fines and refund $5 million to customers. But its problems may just be beginning. The Department of Justice has opened an investigation and has issued subpoenas to the bank. Earlier on Friday, the U.S. House Financial Services Committee announced it would launch an investigation into the bank and hold a hearing in later September. Wells Fargo said its CEO, John Stumpf, will testify. This is the first lawsuit to be brought against the bank for the fake accounts. Wells Fargo had no comment on the case.